照片素材（圖片）: Close-up of retro car. Close-up detail of retro car. 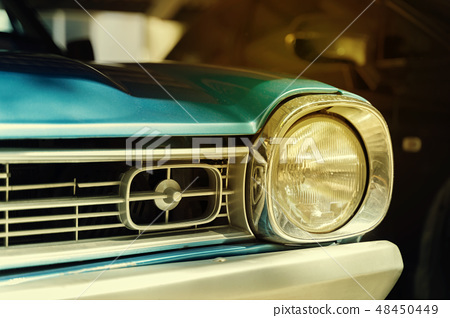 Selective focus on the car's headlight.